reliability. 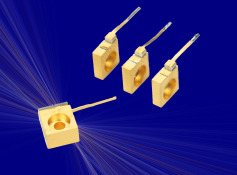 767 nm Laser Diodes used for K D2 line spectroscopy. wrist strap must be used. Always store in an antistatic container with all leads shorted together.